A compacted snow runway for wheeled planes - the Phoenix Runway -- was certified as operational in 2016. The runway is located about 21 kilometers (13 miles) from McMurdo on the glacial ice of the McMurdo Ice Shelf. The surface and foundation of the Phoenix runway is made of snow that's been compacted by heavy rollers weighing more than 160,000 pounds. This compacts the snow into dense layers, nearly as hard as concrete. No other airfield in the world uses deep compacted snow to land heavy wheeled airplanes. Phoenix replaced the existing Pegasus White Ice Runway, which had supported the landing of wheeled aircraft for 26 years. 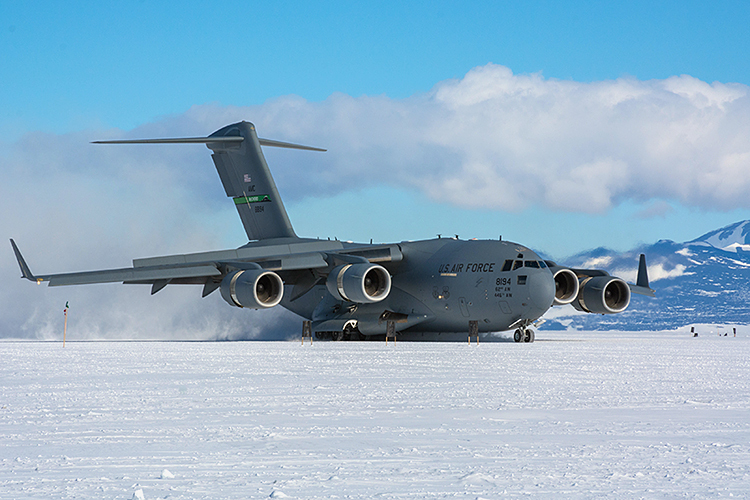 The Air Force provides flights between Christchurch, New Zealand, and McMurdo for the U.S. Antarctic Program. Williams Field, a skiway 15 kilometers (9 miles) from McMurdo on the Ross Ice Shelf, is the airfield for ski-equipped airplanes. 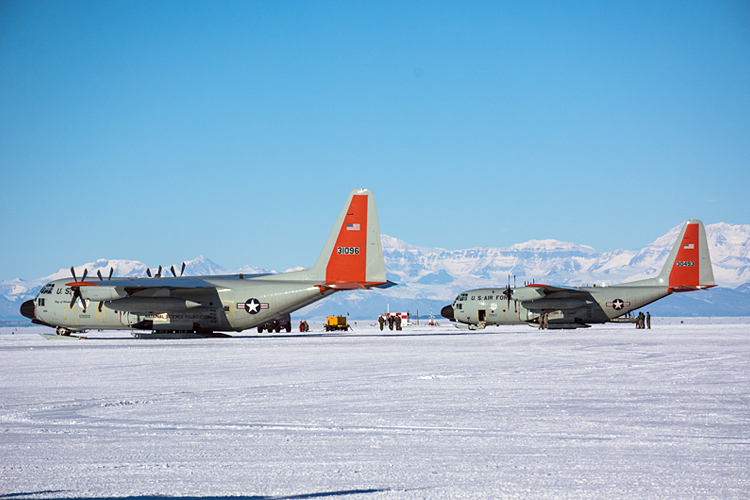 The U.S. Antarctic Program employs at least three types of ski-equipped planes: the LC-130, a variant of the Hercules turboprop transport, which is flown exclusively by the New York Air National Guard, and two civilian airframes, the Twin Otter and the Basler. Williams Field is named in honor of Richard T. Williams, a U.S. Navy equipment operator who drowned when his tractor broke through the ice on Jan. 6, 1956. He was deployed as part of the first Operation Deep Freeze, the U.S. military mission to erect permanent Antarctic research stations as part of the International Geophysical Year 1957-58. Deep Freeze now refers to the U.S. military's logistical support to the civilian managed U.S. Antarctic Program.